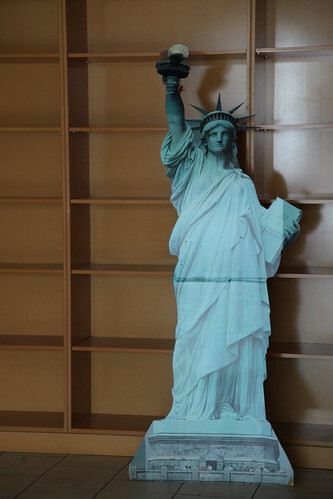 Liberty Mutual briefly occupied a storefront with advertising materials. In an effort to keep the mall looking full, mall management allowed tenants and other local businesses to fill in store fronts with merchandise and advertising. Even though these particular stores were completely empty and locked, having the window displays filled provided shoppers a sense of normalcy for a short time as the mall slowly lost its grip on the local economy.